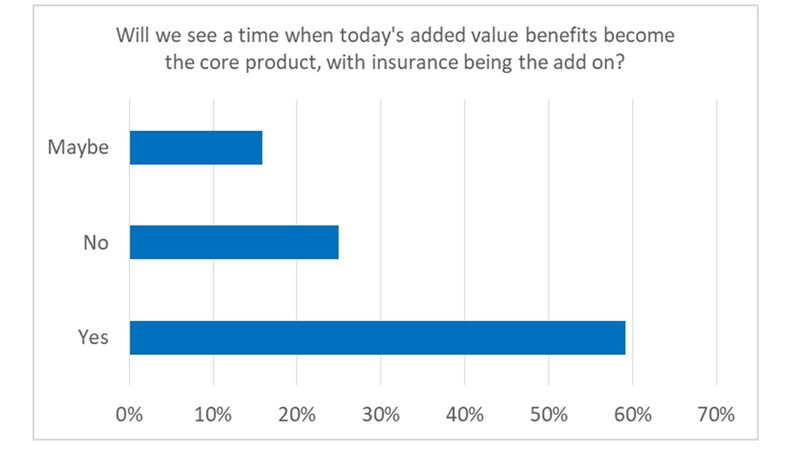 Our last poll asked “Will we see a time when today's added value benefits become the core product, with insurance being the add on?”. Just under 60% of respondents felt that this was inevitable. A quarter of people felt that this wouldn’t be the case and 15% remained undecided.